HOUSTON (Nov. 2) — The stated goal of this year’s 9th annual Walk by Faith 5K, which takes place Nov. 12 on the campus of the University of Houston, is to take care of families dealing with a child with cancer who were also affected by Hurricane Harvey. To that end, Addi’s Faith Foundation co-founder Tony and Amber Bender have already changed the life of the Dwellingham family, who lost almost everything in the disaster and were struggling to get their 6-year-old son Kalieb to treatments for a cancerous brain tumor. The Walk by Faith 5K Race/Walk is the main fundraiser for the Addi’s Faith Foundation, a Kingwood, Texas-based 501(c)(3) founded in 2007 by Tony and Amber Bender to honor their daughter Addison Faith Bender, who died of a cancerous brain tumor at age 2. 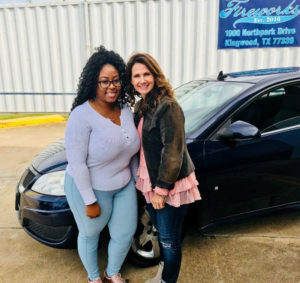 “When we heard about the Dwellinghams’ story we felt compelled to jump ahead of the game a little bit and get them a new car as soon as possible because it was such an urgent need,” Amber Bender said. “Kalieb was in the midst of his second round of treatment and the Dwillinghams had no practical way of getting him to the hospital every day. 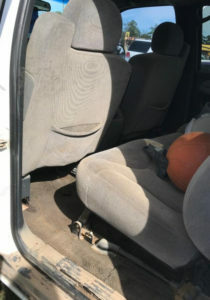 The Dwellinghams had more than four feet of water in their home and their car, which was in the driveway, was flooded almost all the way to the roof of the vehicle. Addi’s Faith Foundation had the car towed to G&S Tire and Auto to see if it was repairable but when they got the diagnosis that the car was totaled, they decided to get the family a new car. The Benders quickly pointed to next weekend’s Walk by Faith 5K Race/Walk as the group’s primary fundraiser and encouraged Houstonians to get involved. More than 1,000 people are expected to participate in this year’s race. Registration is underway now at www.walkbyfaith5k.org. People unable to attend are encouraged to visit the website and make a donation. Amber Bender says participants in their annual run/walk range from competitive runners to entire families and church groups covering the course as a team. This year the event will start with a 1K Kids Fun Run for children ages 3-10 to give even the smallest participants a chance to get involved. Generous sponsors have pledged support of all refreshments, a Kid’s Zone, festive music, raffle and various awards handed out to the top finishers in several age groups. The cost is $25 for adults and $15 for kids (17 and under). Each participant who registers online can also create their own fundraising page to collect donations from family and friends. Anyone who refers 5 friends will have their registration fee refunded. Early registration ends Nov. 2, after which time the fees increase by $5. Race day registration will be available from 6:30-8 a.m. Please visit www.walkbyfaith5k.org. The race day schedule begins with a 7:30 a.m. Worship Service, followed by the 1K Kids Fun Run at 8 a.m. The 5K Race/Walk will begin at 8:30 a.m., with the Awards Ceremony beginning at 9:30 a.m.
Major sponsors of this year’s Walk by Faith 5K include Shamrock Marine, Hines Furlong, The Shop/G&S, Jeffboat, Buffalo Marine, MD Anderson Cancer Center, Insperity, Vital Allergy & Asthma, Alspaugh’s ACE Hardware, Coating Systems & Supply, Christ The King Lutheran Church, Gustafson Dental, Johnson DeLuca Kurisky & Gould P.C., Stewart Title, and Thrivent. Click here for video of car presentation www.facebook.com/addisfaithfoundation.